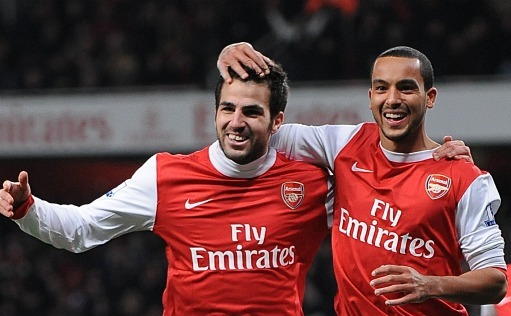 Arsene Wenger has confirmed neither Theo Walcott and Cesc Fabregas will be in his sqaud for Arsenal's match with West Brom this weekend. Captain Fabregas has an hamstring injury which he damaged during Arsenal's Champions League tie with Barcelona earlier this month. Walcott remains on the sidelines with an ankle injury he picked up in Arsenal's victory over Stoke City. Wenger said there was no chance the England international would be able to play for his country in next week's international matches. Alex Song will not feature either as he has yet to recover from a knee injury picked up in Arsenal's Carling Cup final defeat.